The databroker SA is engaged in providing sales support and promotion services. 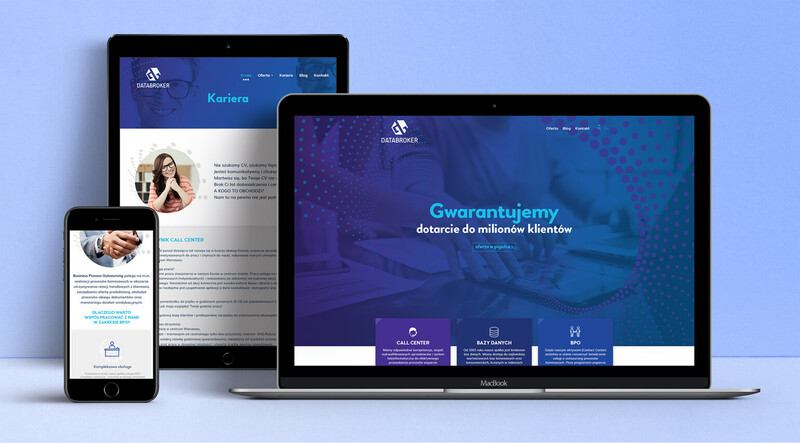 The challenge for us was to design and implement a company’s website, which presents a wide range of company’s offerings, but at the same time does not overwhelm the content and amount of information. The main assumption was to make the website interesting, modern and characteristic. We were able to achieve such an effect thanks to the use of strong colours, delicate animations and light typography. Our client wanted a clear layout that would distinguish his website from the competition. Strong colours from the colour palette referring to the company’s logotype allowed us to create a project that fully meets the customer’s expectations. The distinctive colour scheme has been subdued by a large number of white and grey. 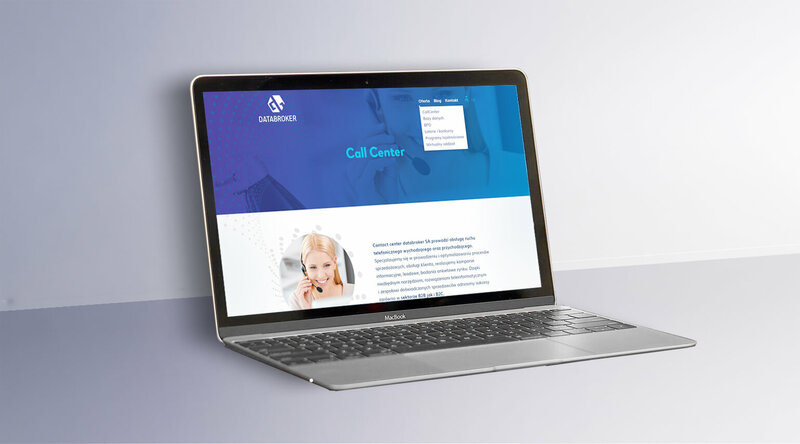 We also used a simple font and a few CSS animations, which make the corporate website a modern and enjoyable place to view. The website is responsive, so mobile users can easily use it.